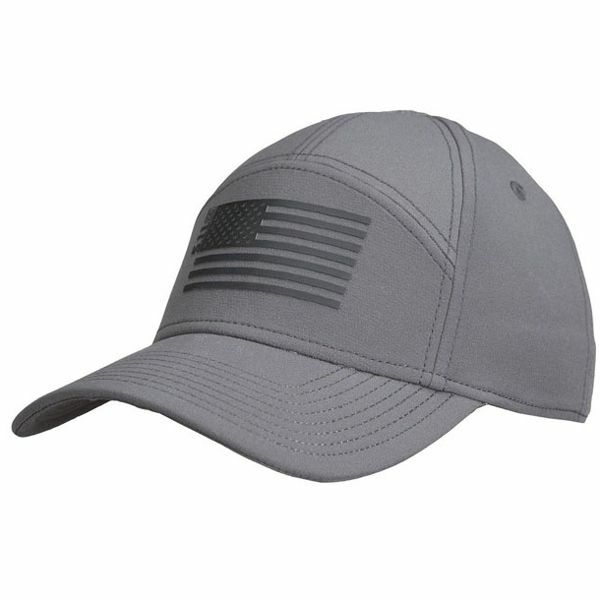 The Stars & Stripes Cap from 5.11 Tactical offers a stylish and comfortable alternative to everyday headwear. Prominently featuring 5.11 graphics at the front panel, this premium cap is crafted from a polyester/spandex blend for an ideal combination of lasting durability and cool, lightweight comfort. An integrated sweatband at the forehead helps keep you cool and dry on hot days, while a traditional six-panel configuration and Buckram front linings ensure a structured fit.